Helps fight the misery of colds and flu. For children 12 years and over. Ideal for those who want to take Echinaforce but don't like swallowing tablets. 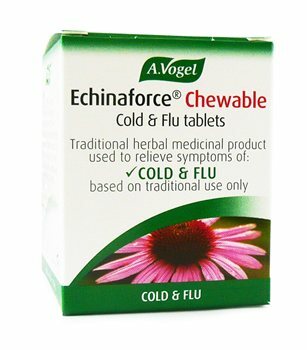 Echinaforce Chewable contains the same herbal extract of freshly harvested Echinacea purpurea that goes into our well known Echinaforce Echinacea drops and tablets. It may be used by children (above the age of 12 years) to help fight the misery of colds and flu.